A loosen grip, for just a moment, but it was enough for her to use it to her advantage. She forced her elbows into the gut of both guards that held her. One of the guards fall into one another and she turned to find a silencer pointed inches from her face. The guard fired it just as she grabbed ahold of it, blocking it. Her anger poured out in white electric voltages, and electrocuted the guard blasting him ten feet down the corridor. Her face matched the other three guards. Bewilderment. How did she just do that? Facing the other three, each held up their own silencer. They all stare at one another, waiting for someone to make a move. She looked down, a silencer laid unoccupied, dropped by the guard she electrified. She grabbed it, and fired. Once. Twice. Two guards fall, the last one shaking as he gripped his own silencer preparing to shoot her. She had reacted so fast and unexpected it surprised the guard. He looked around her age. This was his first assignment, more than likely. He had doubts about himself, she sensed it in his wavelengths radiating toward her. He was scarred. "Tell me where I -" Her words break off as she held a breath. She sensed Jav. He was near. 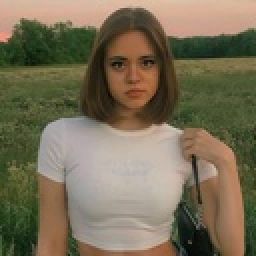 "Avianna,"Jav stood in entry corridor, alone. Perplexed he starred at the three dead guards, then to her. "What happened?" He demanded coldly. "Lead Commander Jav, the girl, she!" The guard started. "Not you," Jav snarled walking closer to Ava. "Her." "Lead Commander Jav-" The guard began again. "Go find someone to clean this up," he commanded. "Now!" Jav&apos;s shout echoed and the guard scurried away. She pointed her silencer straight at Jav. The silence in the corridor was silent except for Ava&apos;s rigged heartbeat. It was just them. "Do it," Jav simply said. His wavelengths bounced off of hers. He meant what he said. Did he want her to kill him? "It would feel so liberating wouldn&apos;t it? To kill me," he continued to near her. "You still see me as your enemy?" He walked to her until the top of the silencer touched his chest. She could feel the steady up and down movements of his heartbeat through the silencer. "Once you kill me, you&apos;ll have to face my father." "What?" Ava crinkled her eyebrows in frustration. He was distracting her. She could do it. Kill him right now. "My father is in orbit. He will be entering the planet soon. He has twice the amount of weapons, officers, and power. You and your friends wouldn&apos;t even have one percentage of a chance at winning. You would all die tonight," he paused. "If, you kill me now." "You&apos;re diverting me!" She shook her head, pulling back with the silencer still pointing at him. "I am your only chance at your friends surviving." "I thought there was going to be an execution?" "It doesn&apos;t matter. What matters is that you follow me. I have someone you need to meet." "You want to know about your past? He can open up your memories." "I already know, thanks to you for telling my friends. &apos;It&apos;s not my story to tell&apos; Liar. You couldn&apos;t wait to tell them could you." Gripping the gun tighter, a tear falls from her eye. "And, I didn&apos;t?" She roared, exposing her emotions fully to him. She didn&apos;t care anymore. What he thought of her. What this raw emotion would lead him to think of her. Weakness, no doubt. "Come with me, and you&apos;ll find out." Confusion. Frustration. That&apos;s what she felt. "You&apos;ll need cuffs on. If you walk while carrying the silencer it will arise suspicions. I cannot have that. It will have to look like I&apos;m escorting you to prepare for execution. But, it seems you&apos;ve found a way to get them off," he looked to the broken cuffs as he walked over them. "It&apos;s time that you meet Vinn Kavari." Happy New Year! I hope everyone had a safe and fun night. Here&apos;s chapter forty three! 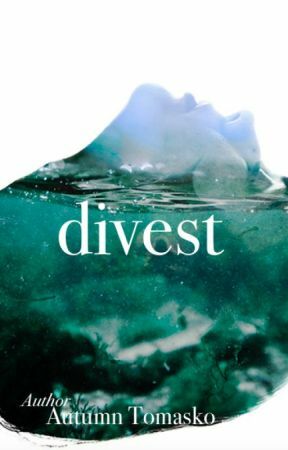 The final chapters of Divest are upon us. I will mostly get up to fifty five or fifty six chapters with an added epilogue. You will notice I have added drafts for my chapters. I will be posting the next ten or twelve chapters within the next two weeks. I have concluded Divest will be completed (story wise) January 21st. Get ready for some exciting chapters.